Back in August, Twitter decided that third party clients that replicate its core features (home timeline, direct messages, etc.) were not necessarily great for business going forward. As a business that has a mega-value yet can’t seem to figure out that whole profitability thing, they decided that maybe apps that were being used in place of their official were part of the problem. As such, they set a 100,000 limit for the number of tokens (sort of like an individual user) that can be allotted to 3rd party apps. Unfortunately for upstarts like our beloved Falcon Pro, that limit can be reached quite easily. 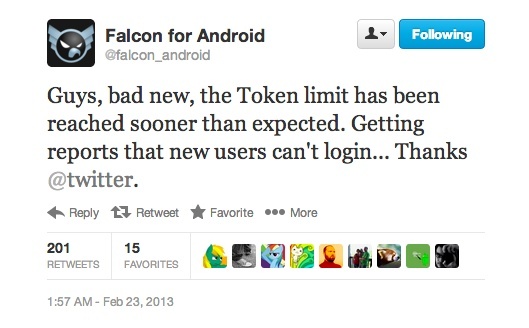 In fact, last night, Falcon Pro hit their 100K token limit and can no longer add new users. You can imagine how this could put quite the damper on development for an app that is just getting started. Users who buy the app are left without the ability to actually sign-in, which in turn leads to poor reviews, complaints about the dev, a need for refunds, and so fourth. For now, the developer has added a note to the app listing, so that people aren’t buying it going forward. Obviously, this doesn’t work long term, especially for someone trying to make a living off of their app. So until they can figure out a way to convince Twitter that their app offers something unique and does not simply copy the core values of Twitter, they can’t get this 100K limit lifted and are stuck in a very difficult place. Oh, did we mention that of the 100K, that 40K are active installs, which means a whole bunch were taken by people who either pirated the app or installed, took a token and then never opened it again? If you aren’t using the app, you’ll find instructions down below to revoke access, something you should seriously consider if Falcon isn’t your Twitter app of choice. Falcon Pro is not the first to have this happen. Tweet Lanes, another popular Android Twitter client decided to cut development once they realized that they could not move passed the 100K limit. Popular Windows 8 app Tweetro hit the limit and was unable to have it lifted, even though Twitter doesn’t even offer a Twitter client on Windows 8. So what can you do? Well, a couple of things. 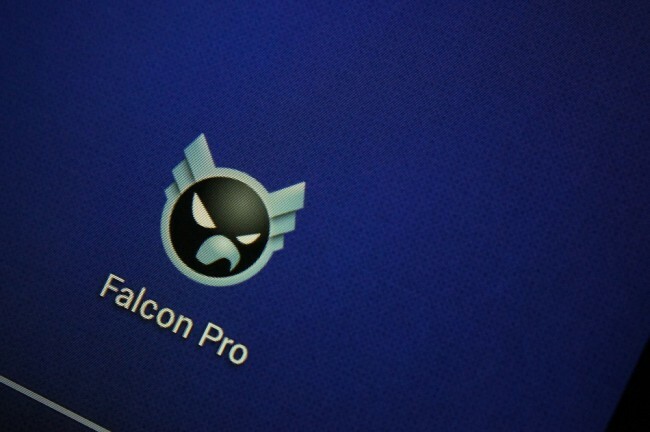 If you aren’t using Falcon Pro, GIVE UP YOUR TOKEN. 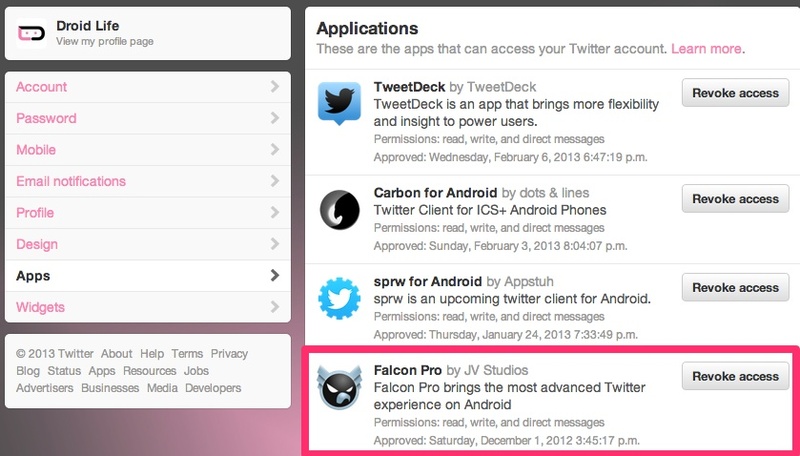 From a PC browser, head to Twitter.com and select Settings>Apps, find Falcon Pro and “Revoke Access” to the app. That should free up a token that you aren’t using for someone else. If you flash ROMs with regularity, be careful. There are reports that after flashing, you are left without access. Titanium Backups of the app may still work, though. A petition has been started, though I’m not sure what it can do. Here it is. Follow @falcon_android for the latest.